Comprehensive Care from the Start! 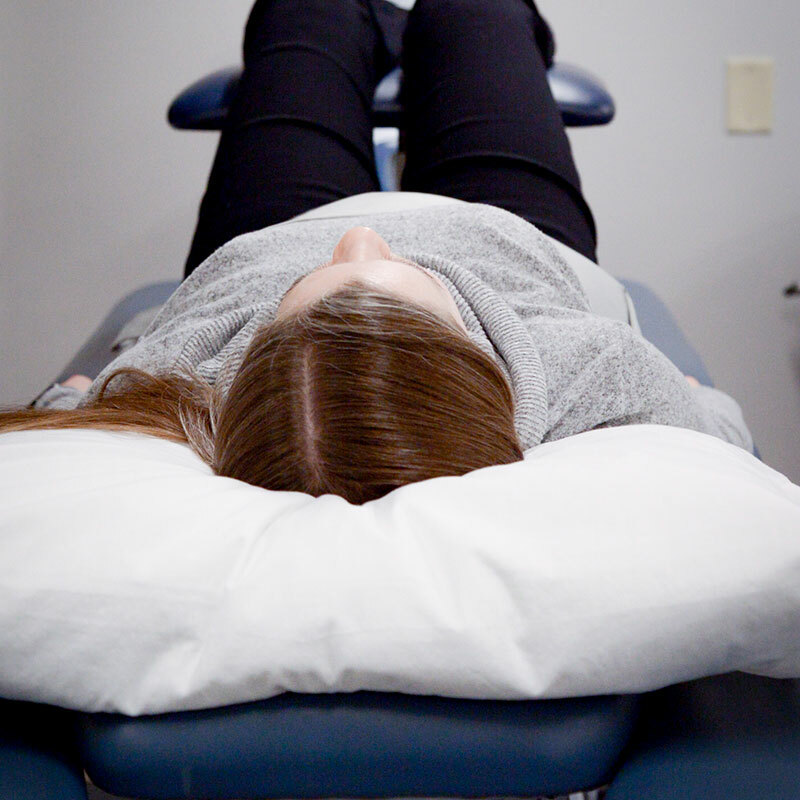 Your first appointment will consist of a comprehensive evaluation to identify the underlying neuromuscular and musculoskeletal changes impacting your functional ability. Your treatment will begin right away at your first session in order to get you on the path toward feeling better. You and your care partner will receive a thorough description of the problem you are experiencing as well as how we will manage your rehabilitation. After a thorough evaluation, you’ll receive a treatment plan that has been customized to your specific needs. All follow up appointments will be with a provider within our group who has undergone specialized training in addition to their academic/professional training. Our therapists will work hand in hand with your care team in order to maximize your results. Detailed reports will be routinely shared with your physician or other provider to keep them apprised of your progress. Patient-centered care is our primary objective. We listen to the patient, complete a comprehensive examination, establish a plan of care to meet your goals, provide personalized treatment, and re-evaluate your progress routinely to ensure your expectations are being met. At discharge, with your goals accomplished, you will be instructed in exercises and strategies to prevent recurrence of your symptoms. In addition, we offer a Post Rehabilitation Program for those individuals who prefer to have ongoing supervision by their physical therapist. OUR GOAL IS YOUR REHABILITATION AND WELLNESS! Our practice began in 1992 when as a solo practitioner I decided to focus my clinical practice in Neurologic Rehabilitation with a focus in Multiple Sclerosis. This direction in my clinical career was stimulated by an interaction I had with a client involved in the National MS Society, and the challenge that she sparked in me to understand the role that physical therapy could play in rehabilitation for individuals living with MS. My first venture into MS care was with the establishment of an MS Exercise and Wellness Program which continues in a modified form to this day at our Sheridan Drive location. Fast forward 25 years and our practice is now a leading force in promoting Neuroplasticity, Cortical Reorganization and promoting highest recovery possible in conditions that involve the central nervous system. In addition to MS our clinical practice focuses on dizziness disorders, post-concussion syndrome, stroke, traumatic brain injury, Parkinson’s Disease, ALS, various neuromuscular conditions AND a multitude of musculoskeletal conditions which may impact your safe and pain-free mobility. The key to our success is a comprehensive examination and evaluation to identify the underlying symptoms or impairments that impact your ability to move safely, efficiently, and effectively. As a result of our success in promoting rehabilitation and wellness, our practice has now grown to thirteen providers who are skilled in facilitating your recovery and optimizing your wellness. Scroll through our website to meet our team and the services we provide within our community and profession! Five members of our professional staff are currently serving, or have in the past served, in teaching roles at area Doctor of Physical Therapy and Physical Therapist Assistant academic programs. Other members of our team provide guest lectures to students on topics including mitochondrial myopathy, Central Nervous System pathologies, post-concussion syndrome, and orthopedic issues impacting patients with neurologic conditions, just to name a few. Our team has published articles in medical journals on topics including multiple sclerosis, nutrition and physical functioning, and post-concussion syndrome. 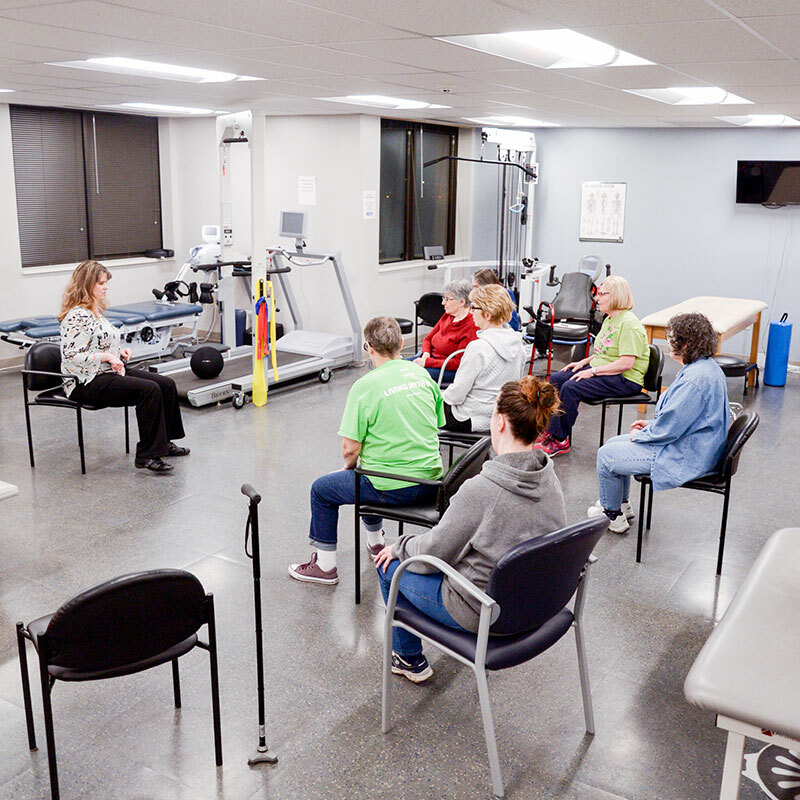 Susan Bennett and Associates is a highly sought after center for clinical training for doctor of physical therapy as well as physical therapist assistant students. These students are immersed in our culture and learn to provide care consistent with our mission and values. All providers within team are committed to professionalism and are members of both the American Physical Therapy Association (APTA) and the New York Physical Therapy Association (NYPTA). Members of our practice hold, or have held, various leadership positions in professional organizations relevant to physical therapy. Susan Bennet has serviced as director, vice president, and president of the New York Physical Therapy Association (NYPTA) while Jake McPherson remains on their Board of Directors. Dr. Bennett has also served as President of the Consortium of Multiple Sclerosis, an international interdisciplinary organization focused on care for individuals with MS. Our staff also regularly participates in state government advocacy efforts to eliminate barriers preventing access to physical therapy.